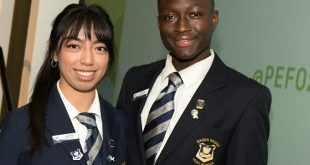 While private schools in Australia generally have lockers for high school students to store their heavy bags, many state schools report simply not being about to justify funding for the project. Hurdles such as a paucity of available covered areas, no specific designated areas for each year group, and simply the cost of the lockers themselves have school administration privileging other areas of expenditure more directly linked to educational outcomes over lockers at budget time. Some schools also cite security as a reason not to install lockers, with theft and vandalism rife in many of the nation’s schools. 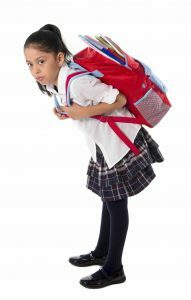 Parents, students, chiropractors and GPs however, increasingly agitate for an end to the back-breaking lugging of bags from classroom to classroom throughout the day. With lesson periods lasting only 45 to 55 minutes, lugging the books required for each class, and food and water for the day mean some serious weightlifting for developing backs. 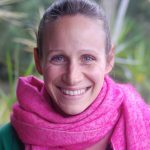 A ‘fact sheet’ released by the Chiropractor’s Associate of Australia reports results of a 2011 observational study of more than 340 school. The key finding of the study revealed 90 per cent of school children have bad posture when carrying their bags and could experience spinal damage as a result, while 75 per cent are not using their backpack’s ergonomic features which could prevent such damage. Many students carrying an average of 17 percent of their body weight on their back, which is almost twice the recommended carrying weight of ten percent. 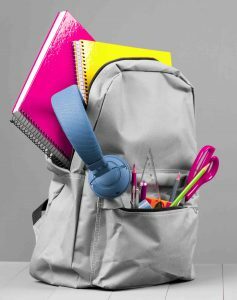 According to a 2002 international study, Backpacks on!, daily backpack carrying is a frequent cause of discomfort for school children. The rising prevalence of laptops in secondary schools goes a little way to alleviating the weight of the bag, but several books are still required. This same rising prevalence of electronic equipment actually raises another issue; that of security. Managing property in schools has become far more complex that it once was. So what are the solutions? 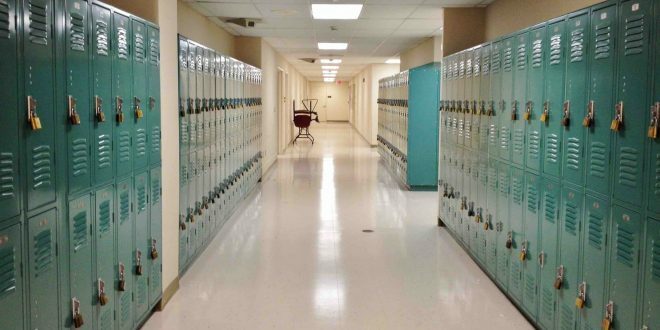 School News contacted Jim McAlinden of Premier Lockers for some insight into just how schools are balancing security with budgetary restraints to create locker storage solutions that solve more problems than they cause. The most significant observation will be expected by many school staff members, many of whom have told me that they are charged with constantly monitoring the (clandestine and otherwise) use of electronic devices. They use them in class, in the playground, in assembly or parade, in the hallway, and yes, (much less easily managed) in the toilets. So if we don’t want students keeping their phones on them all day, what do we do with them? Mr McAlinden said security was something that had become a problem for schools. “Students now have access to phones, iPads and laptops, all of which require secure storage”. The storage required is necessarily of a different nature than was required for storage of books, schoolbags and gym clothes. This more complex functionality requirement might feel overwhelming for some school budgets. According to Mr McAlinden, the traditional items are still part of the school day, so the space needs to accommodate sports gear, books and the school bag. Many schools require an internal hook for hanging so those expensive school blazers don’t come out looking like an old sandwich bag. With budgets strained, schools are understandable focussed on what they can afford and whether it will last. Refurbished units are available and Mr McAlinden said that while you can get lucky, you can also meet pitfalls. “There be no warranty to cover subsequent damage, it’s likely that a series of replacement parts will be needed – often on a piecemeal and therefore more expensive basis” he warned. Unless they are in perfect condition, there will also be some initial work required to make them ready for use. “Sourcing the requisite number of same, or broadly similar, configurations may be a challenge”. He shared a famous quote from the renowned Victorian social thinker John Ruskin: “When you pay too much, you lose a little money – that’s all. When you pay too little, you sometimes lose everything”. Having said that, he added that “the second element was more relevant than the first as cost-effectiveness is entirely possible in a new product with full warranty”. So which locker storage solutions are available for schools? School common rooms typically include row after row of standard types of lockers, with one for every student. These need to be big enough so everything fits, but small enough that they all fit in the room. The valuables lockers pupils make a valuable addition to any school hall or gymnasium. Students entering exam conditions can be asked to switch off their mobile phone and store it in a locker. You’ll want to provide separate types of lockers in gym changing rooms, so that pupils can store their clothes and valuables before participating in sport. Wet area lockers are ideal in poolside locations. Many schools now provide laptops for students to use during their lessons, and some install lockers with charging facilities for their storage.